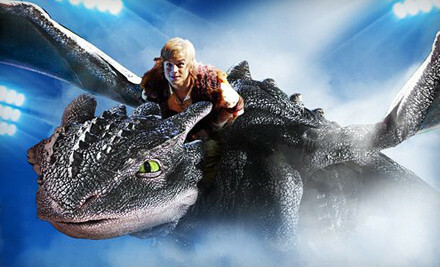 How to Train Your Dragon Live Spectacular Tickets – Up to 41% Off!! For $49, you get one ticket for seating in section 104 or 110 (up to an $83.25 value, including all fees). For $49, you get one ticket for seating in section 103 (up to an $83.25 value, including all fees). For $56, you get one ticket for seating in section 103 (up to a $93.50 value, including all fees). For $56, you get one ticket for seating in section 111 (up to a $93.50 value, including all fees). More details about the show and to purchase tickets at these great discounted prices, go HERE. Be sure to check the site for full details.